With 20 years of experience, Style Bathrooms is your one-stop service for all bathroom renovation needs. Our team of experts are fully-equipped to create your dream bathroom, from start to finish within strict budget and time frame by providing tailored and reliable service. 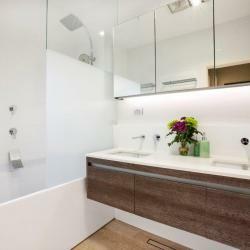 Using only the highest quality materials, we specialise in customised bathroom designs, aged care and disabled-friendly bathrooms for both residential and commercial, as well as walling and tiling solutions including wet walls. Our innovative designs also incorporate the latest in technology and installation of water saving features. Our innovative bathroom technology can incorporate a TV at the end of your bath, bluetooth options for charging and listening to your music, and touchless technology like ‘wave’ to flush toilets!! Visit our Norwood Bathroom Life flagship showroom to view the styles and brands we offer. We partner and work with Bathroom Happiness and Reece. Get in touch for a free consultation and no-obligation quote today. Our office is open til late from 7am - 9pm Mondays to Fridays, and 7am-5pm on the weekends.